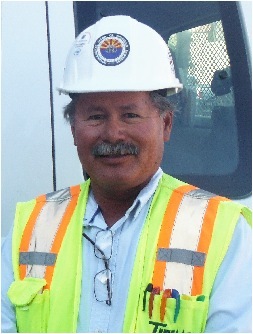 Jose successfully managed multiple projects throughout Arizona for TCC for almost twenty years. We will miss Jose's smile, sense of humor and his "can-do" attitude. We wish him well as he retires from back-up alarms and dirt, and hopefully slows down to enjoy his free time with his lovely wife Olivia. Copyright © 2019, Tiffany Construction Company. All rights reserved.